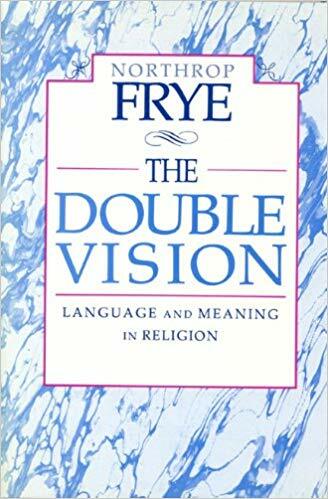 Today I read all but the first eight pages of Northrop Frye’s final work (I read the first eight a few days ago), a slim volume entitled The Double Vision: Language and Meaning in Religion. I started here with Frye rather than, say, The Great Code: The Bible and Literature, because the book is short and claims to be a quick version of his main ideas. I guess that being an academic means one wants the long version. There are some great ideas in this book as well as some passages that pack some punch. Unfortunately, I came away a little disappointed, especially after my head had been swimming with big ideas when I read the first few pages of his much longer book, Words with Power: Being a Second Study of the Bible and Literature. In the introduction to Words with Power, Frye discusses his underlying conviction that all literature is mythology. The idea of all literature and language being mythological excited me, but I’m pressed for time and intellectual capacity, so thought this series of addresses given to United Church of Canada ministers that distils some of Frye’s ideas would be the ideal place to start. Part of the problem is that his big ideas are often stated evocatively but not argued — understandable for the context; but this is why I need the bigger books, perhaps. However, I fear that, for all that Frye was trying to recover the Bible for the 20th century and give it back to his faith community as something to be believed in, liberal Christianity and late modernity haunt the background of the pages. Frye was pressing his way into a path beyond any conservative-liberal impasse. Perhaps to someone who was only eight when the book came out, Frye did not pass through far enough? For example, Frye says that sitting down and deliberating on whether story x in the Bible was historically true in a literal sense as we know it or whether it was just a myth is the wrong question. He rightly wants to push past that, and find the stories of Scripture coming alive and bodying forth God for us. However, in the end, I felt like he was recapitulating liberal doubts about the historicity of Scripture but finding a way to still believe in the Bible. The parts of the book not about the Bible were interesting but failed to move me — very 1991, talking about the fall of the Soviet Union and an awakening consciousness about our devastation of the natural world. My exposure to patristic and medieval Christianity has been very different from his, I think, and I think it has indelibly affected my own double vision. To take one example. Frye notes that when we start to ask the awkward question of the historicity of Elijah calling down fire from heaven in his competition with the prophets of Baal, the even more awkward reality of God’s lack of doing such things today comes up. That is — if we stick to historical questions, we have problems with today. But if we look at this story as a story about God’s relationship to Elijah, it takes on a more immediate concern for us. No other Near Eastern deity is as intimate with his people and prophets as YHWH. I still want it both ways. Elijah on Mount Carmel as history does not bother me, because the lack of miracles in the Canadian church of the 20th century is no failure on God’s part. It is possibly a failure on ours. Mind you, Frye points out that miracles aren’t the point of any of it, given Jesus’ own attitude to his miracle-working. But Elijah on Mount Carmel as only history is less interesting than Elijah on Mount Carmel being an enacted myth that tells me something either about Christ (if the prophet is a living antitype of Jesus, what does this signify about the Messiah?) or about the church (who are the prophets of Baal in our midst, luring us away from the worship of the true God, and what will He do for us if we only ever ask?). Somehow something bigger than mere scientifically verifiable history is at play in the Old Testament prophets. Frye would agree. But that doesn’t mean these things didn’t actually happen. For here some balance could be redressed. His brief mention of Thomas Aquinas was heavy on Aristotelianism but outrightly stated that St Thomas was not into Dionysius the Areopagite — this is simply a falsehood. What makes Thomas Aquinas so interesting is his extraordinary synthesis of so much philosophy and theology, not merely Aristotle but the mystical and sacramental traditions of patristic and medieval theology, East and West, as well. This is perhaps quibblillng, although I found his statement to the effect that the best mediaeval theologians were those who found themselves accused of heresy troubling (poor Bonaventure, Albert the Great, Anselm, Hildegard, Catherine of Siena). He also demonstrates a common misconception about the allegorical reading of the Bible, that it was the same thing as the allegorical reading of Homer and that its main goal was to justify the ways of God to men (oh, wait, that was Milton) — that is, to explain away the awkward bits. While the spiritual reading of Scripture was often used to this effect, the fundamental difference between Christian allegory and its pagan counterpart is Jesus Christ. Jesus Christ is the full revelation of God; therefore, when the Fathers and mediaeval thinkers allegorise the Old Testament, it is not willy-nilly, not the wax nose maligned by Luther, but with a specific intent and often with common content — find Christ and glorify Him. See how the passage fits with the church’s Rule of Faith. This is what ancient and medieval allegory was up to. Henri de Lubac would save you from that trouble. The problem is, Medieval Exegesis was not translated into English until well after Frye’s death. Frye’s reading of allegory and Origen is on a level with much anglophone scholarship of the last century. Anyway, if we couple my ongoing Anglican diet, my charismatic-Anglican upbringing, my encounters with Orthodoxy, and my ongoing engagement directly with the Church Fathers and certain strains of thought regarding mediaeval and Byzantine theology, it is perhaps inevitable that a book like The Double Vision would strike me as starting in some right directions but haunted by the spectre of late modern liberal Christianity. I no doubt have a very different reading list from Frye’s. But there is so much in here that I could find myself interesting in and gravitating towards if only it were more fully articulated and argued that I will return to Frye’s thoughts on the Bible and literature again some day. Going to hear Malcolm Guite at Regent College’s Laing Lectures this week reminded me once again that western Christianity does, indeed, have its own resources and treasures that can be used by the Spirit for renewal. While I love delving into Eastern Orthodoxy — Anthony Bloom, John Behr, Kallistos Ware, Andrew Louth, Archimandrite Sophrony, The Philokalia, Theophan the Recluse (et al., et al.) — it should be remembered that my own tradition has rich resources at its disposal. I don’t know why that was the list — what about St John of the Cross? St Ambrose? St Thomas Aquinas? C S Lewis? 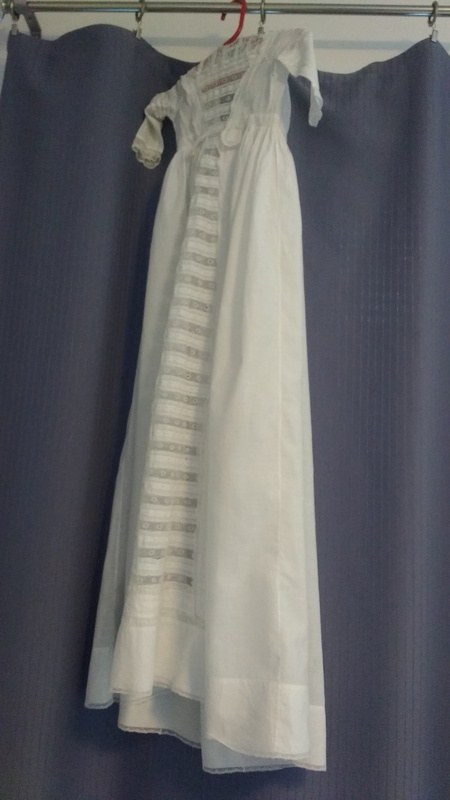 This is the same gown that his brother was baptised in. And three of his cousins. And me and my siblings. And some cousins. And my dad and his generation. And my granny. And my granny’s granny. I forget if it goes back farther. It is a real-live family heirloom. This is probably the most-used such item. My dad has my great-great-grandfather’s cope, and my great-grandfather’s hymn book, though. He also had some of my great-grandfather’s stoles, but they were getting worn out. My sister and I played our grandpa’s clarinet. My wife and I have been putting our sons in as many vintage outfits as possible, for example. When I was confirmed, my Granddad gave me, as to his other grandchildren, a Book of Common Prayer, inscribed by him in calligraphy. This prayer book and the gown represent important family traditions — not merely items, but objects connected to my family’s history of faith, our tradition of faith. My sons have been baptised and dedicated in the same gown as myself and ten or eleven other relatives. This means that my wife and I have stood in public before our church and dedicated ourselves to God, vowing to raise our sons in the church, to teach them the ways of Christ, and to help bring them into the community of faith, to help them encounter the Triune God. This means praying with them, taking them to church, reading the Bible with them. I am not sure what else, besides living our own lives of faithfulness. How do you help a small person encounter the immanent, transcendent God? In doing this, we are part of a great family tradition, as my parents passed the faith on to me and my siblings, and their parents to them, and the generation before — back to before the Victorians stitched that baptismal gown. The best of family traditions. A friend recently brought up the criticism of the Desert Fathers that their withdrawal from the city meant a withdrawal from addressing the social issues and needs of the city. If we consider, perhaps, their own idealised desert anchorite or hermit, this holds true. 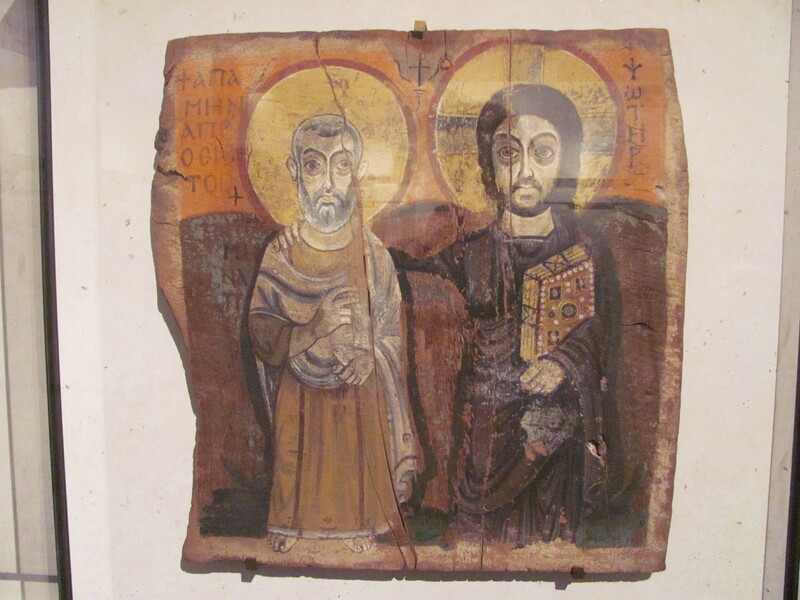 However, if we consider the actual history of the Desert Fathers as well as their situation within the ancient church, I think this is a criticism that does not fit the reality as it was enacted. First, as far as the actual history of the Desert Fathers is concerned, the first point we must acknowledge is the fact that almost none of the hermits achieved their idealised withdrawal from the world. 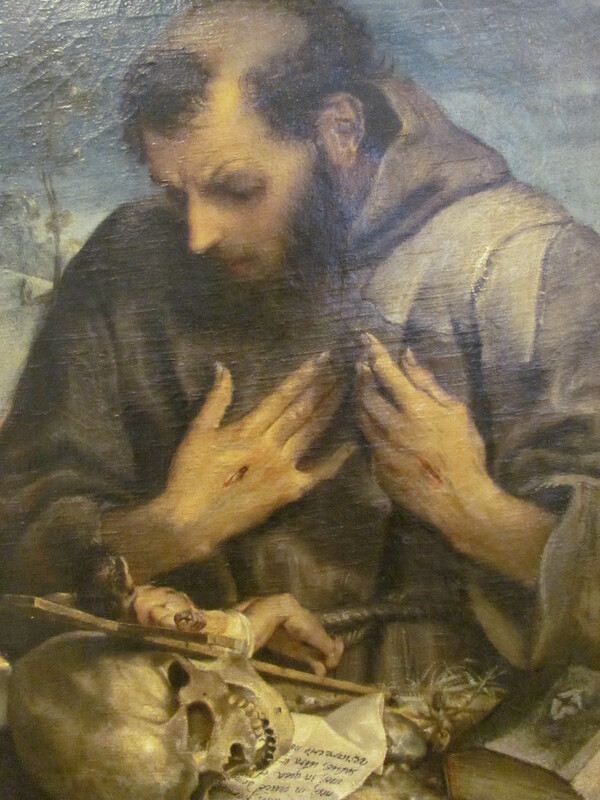 St Antony ended up with a community gathered around him. St Simeon the Stylite shared wisdom with those who gathered around the base of his pillar. St Hilarion (although his story was largely fictionalised by St Jerome) was found by people wherever he went — he was forced into giving spiritual wisdom and performing miracles, whether he liked it or not. St Simeon the Mountaineer (less famous — one of John of Ephesus’ monks) found the local people living near his monk’s cell to be a field for evangelism. Simeon the Mountaineer, in fact, is but one of many monks/nuns/hermits who found himself engaged in evangelism, despite the alleged ‘seclusion’ of his monastic profession. Indeed, any anchorite or hermit whose name is known is known because he was the agent of God in the lives of others, whether, like Sts Barsanuphius and John, that was writing letters, or, like St Daniel the Stylite, that was dispensing advice in person. Therefore, they fulfilled a calling that was of benefit to church and world in these spiritual ways. The cenobites (monks living in community), on the other hand, had opportunities to fulfill the commands to serve one another and love your neighbour simply through daily life. Moreover, there was always a class of monk who was in community because it provided him with the means of survival. Sure, you only ate once or twice a day. But you ate. At the social level, then, the cenobium provided the ancient poor with a place of refuge. Moreover, not only the Desert Fathers but many other monks, nuns, hermits, et al., throughout history have left us a wealth of spiritual writings that are well worth reading. This is part of their prophetic calling. For we who read the sayings of the Desert Fathers, or the writings of Evagrius and Cassian, or the mystical treatises of Sts John of the Cross and Teresa of Avila, are spurred onward and strengthened in our journey into God’s love through the wisdom he gave them in their lives of solitude. This, however, does not save them all from their abdication of social responsibility. My thought on this point has to do with the nature of the church in Late Antiquity, and, indeed, the Middle Ages. Not only was this a pre-denominational age for the church, the local church community did not see the different paroikia (parishes) and communities as, well, different communities. In a given, small-scale church community, not everyone is called to volunteer in the food bank, to lead the music, to cook meals, to help out with the moms’ group, to lead Bible studies, to get bricked into a room to pray and never leave. Each of us must discern which tasks are our own in the wider functional of the ecclesial community. So in the ancient and medieval church. While we rightly see something lopsided in the belief that a life of retreat from the world and city was better, I do not think we can rightly see it as a wrong choice. 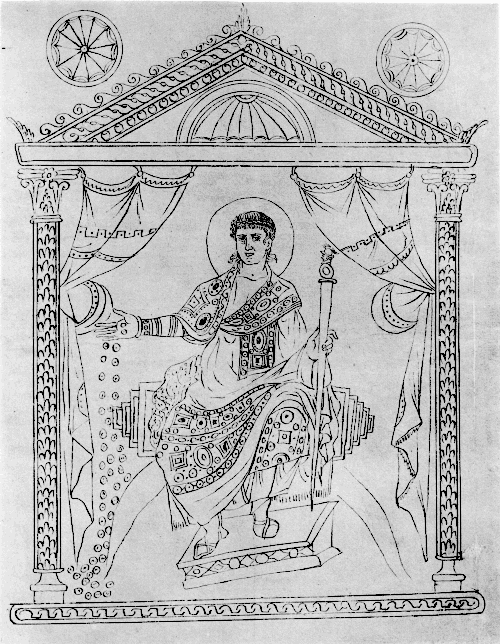 Shenoute of Atripe and his monks may have lived in the White Monastery and prayed for the salvation of the world (and beat up the odd tax collector or two), but Cyril was in Alexandria giving to the poor (when not bribing the imperial court). A better example: The ancient church needed bishops like St John the Almsgiver, a Bishop of Alexandria who was ceaseless in his acts of mercy, and St Daniel the Stylite, a monk on a pillar outside Constantinople who gave spiritual counsel to people from all walks of life. In fact, I believe that, whatever their excesses and possible errors, the Desert Fathers were part of a prophetic movement of the Spirit of God beginning in the decades after the Constantinian settlement, a prophetic movement that monasticism and its offspring (such as the mendicant orders of Dominicans and Franciscans) would continue so long as Christianity and power were united. 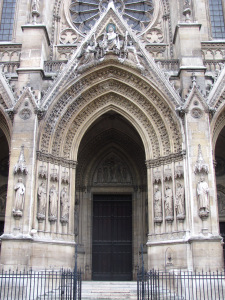 To a church that was seeing the large-scale conversion of aristocrats, as well as the syncretism of folk belief (as archaeology from Egypt shows), and which was perhaps getting doxologically and even morally lax in the comfort provided by favour from the state, the Desert Fathers served as a living embodiment of the full devotion Christ calls his disciples to make. 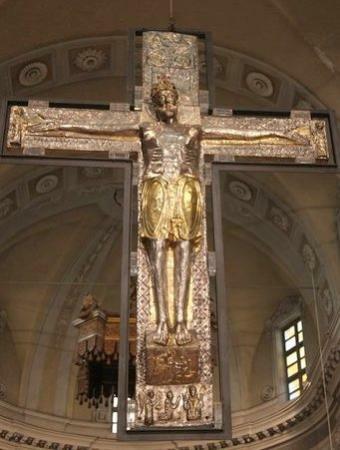 They served as a reminder that Christianity is not a socially respectable institution but an encounter with the fully transcendent God (pictured below) who outstrips any purple-clad, bejewelled emperor in grace, holiness, and majesty (as pictured to the left). They served as a reminder that prayer is ultimately something we live, not simply something that we do when we turn up at a basilica for prayers before resuming ‘normal life’. 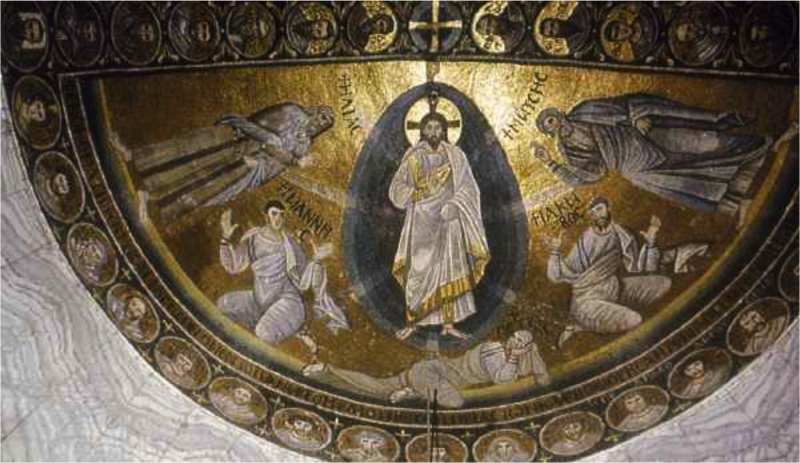 Whether in the desert or the city, whether monastic or cleric or layperson, each of us must realise that, for the Christian, there is no ‘normal life’, for the immanence of the transcendent God and the sacramentality of his good creation make that impossible. And this is the prophetic role of the Desert Fathers. Today, I was explaining Vestal Virgins to my first-years, and I noticed that my slide said that the fire of Vesta was ‘symbolic of Rome’s power’. I took a moment to explain that that description is really inadequate. Symbols, I explained, were much more closely associated with that which they symbolised to the ancient Roman mind. You could almost say that the fire of Vesta was Rome’s power. I went on to say that the world of the ancient Romans was interpenetrated by a sense of the numinous, that the divine interacted with daily life. What I wanted to launch into was a discussion of the sacramental and transcendence. But that wouldn’t necessarily fit a lecture on Roman mythology. But I find even this Roman pagan view of the world much more appealing than the dead, inanimate world proffered by the Enlightenment. A world where the divine lurks behind every corner, where your hearthfire is an access point to another reality, where gods walk among mortals. And my mind is turning this direction because I am reading Boersma’s Scripture As Real Presence, where he discusses a sacramental worldview, a world where God Himself is readily available to us hidden beneath the sacramental veil, and especially available to us in the words of sacred Scripture. At the same time, I’ve begun reading a dissertation about the loss of a sense of transcendence in Canadian culture, including the Canadian church, and how this has led to the haemorrhaging of young people from our churches. Maybe my excitement about divine immanence in the Roman world excited some young minds about finding that here and now. Because these are realities we need — the transcendent, ever-present God who makes Himself known through symbol and sacrament.